When dining out, do you find yourself constantly adjusting wobbly tables? I do. Sometimes they're too light they keep moving, resulting from glasses and plates to shake. It's more inconvenient especially with the kids around, where they tend to push and pull the tables, and it makes our dining experience less pleasurable. A month ago, I was invited to "a wobble-free dining experience" at Conti's Bakeshop and Restaurant in Greenhills. 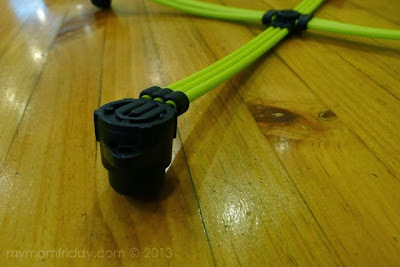 I actually did not know what to expect from the luncheon and the product/brand was not yet revealed. Curious, I just went, since it was near our place and the schedule was convenient. 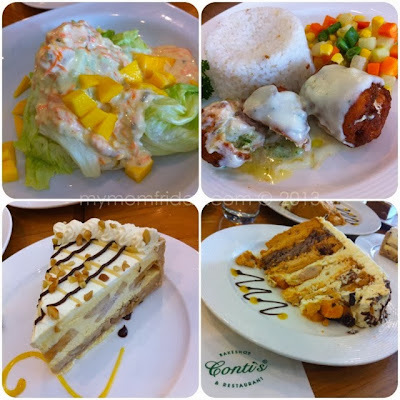 I've dined at Conti's several times in the past, and occasionally ordered take-out. Their restaurants are always full of diners. 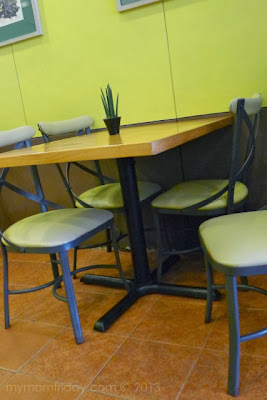 With my recent visit, I noticed something different with the interiors and the tables and chairs. I was right. They did change their tables, and that's the reason I was there - to experience comfort and pleasure in dining, not just with good food, but with a stable dining surface with their FLAT tables. I think all of us, at some point, have experienced dining on wobbly tables and chairs. Many take this for granted. You have to admit, it can get annoying and uncomfortable while you're eating or sipping a drink and the table keeps moving or shaking. The usual solution is for the waiters to get some piece of folded paper or card, and wedge it between the floor and the foot of the table to balance it out. Kinda cheap, don't you think? I certainly do not expect wobbly tables especially at fine dining restaurants, but it does happen. This may seem trivial, but wobbly tables actually disrupts the overall dining pleasure when we eat out. 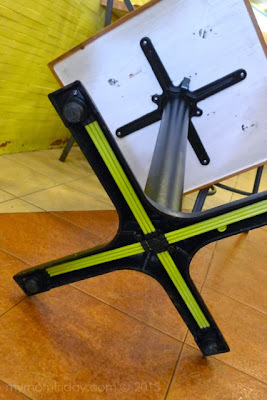 I really hate constantly aligning and stepping on the base of our tables to keep them steady. 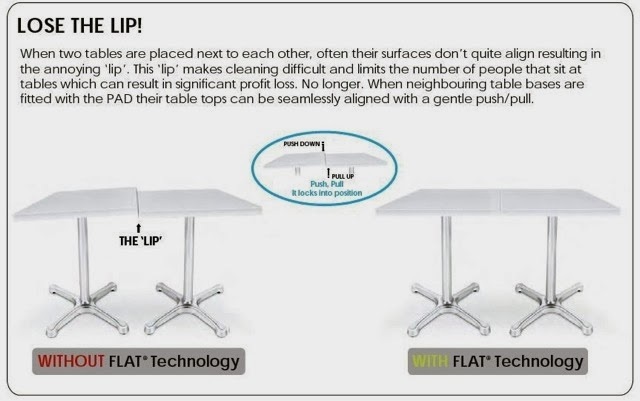 FLAT® Technology is the answer, and food establishments should seriously consider having FLAT in all their tables for the customers' sake! 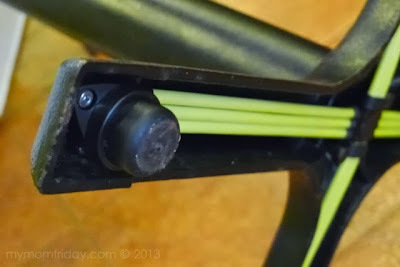 Hydraulics pump fluid through a small series of pipes (Patented Actuator Device – or PAD) applied to table bases - "responds instantly, adjusting the table feet to make it stable on any surface and locks into position"
This is what FLAT looks like, up close. It's built-in under the table base. That foot works like a pump. 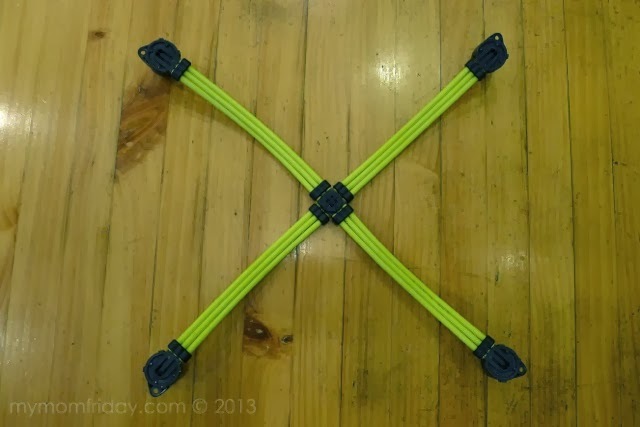 Thin pipes connected to the balls at the end, and is flexible, adjusting to the floor surface, making the table flat when you lean or push down. What I like is that the tables are sturdy and a bit heavy. 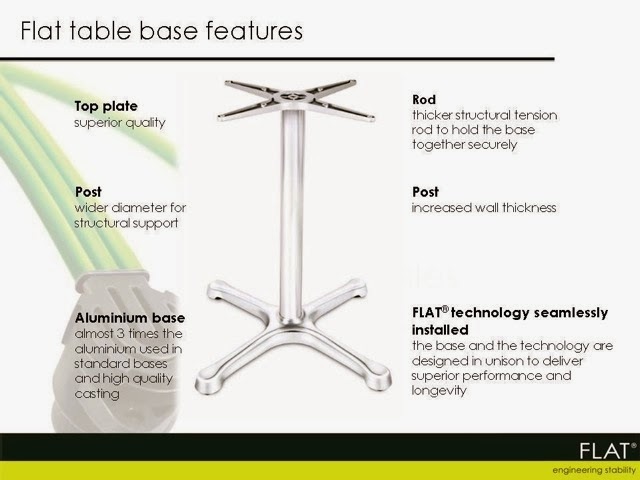 With the table's weight and the FLAT technology, the dining tables are secure - goodbye to wobbly tables! So, this was the secret to our wobble-free, comfortable, and pleasurable dining experience at Conti's. I'm really impressed that this establishment invested in this technology with the customers in mind. 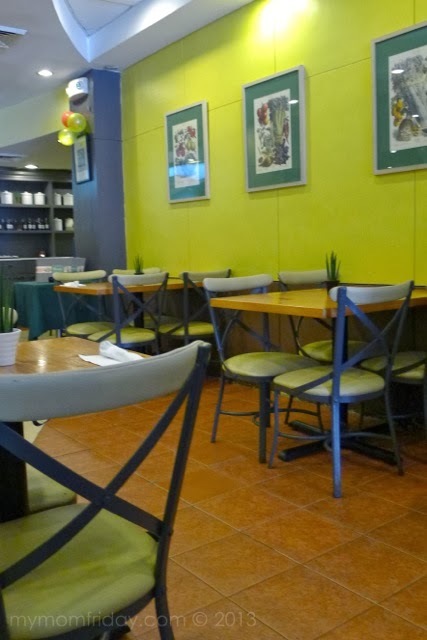 You can enjoy well-loved comfort food at Conti's branches here, and experience wobble-free dining with FLAT tables at their Greenhills, Greenbelt, and Trinoma branches. 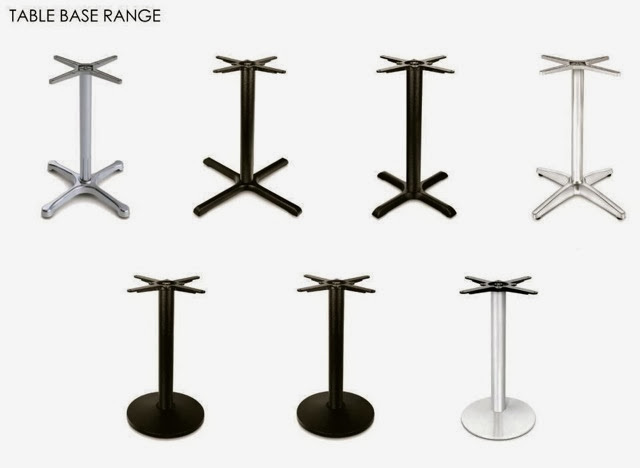 Living Space Home Furnishings, exclusive distributor of FLAT in the Philippines.